We will work with the current foster birds at the Phoenix Landing facility, so you can teach behavior, foraging and feeding new foods first hand. 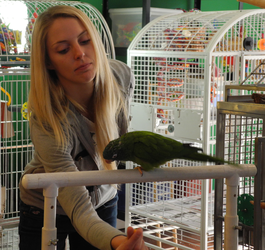 All of us can learn new things to improve our relationships with our parrots. Anyone with parakeets to macaws will benefit! LOCATION: The Landing, near Asheville, North Carolina; a beautiful destination point in the Blue Ridge Mountains. CLASS SIZE: limited to 4-6 people In order to ensure that everyone has the opportunity for plenty of hands-on training and personal attention! Space is filled on a first-come, paid basis. ​How Do I Teach My Bird That? Birds are extremely intelligent. In the wild they are supremely self sufficient. In our homes, they must rely on us to learn “good manners” and companionship skills. That means we must to learn to be good teachers, a skill that does not always come naturally. 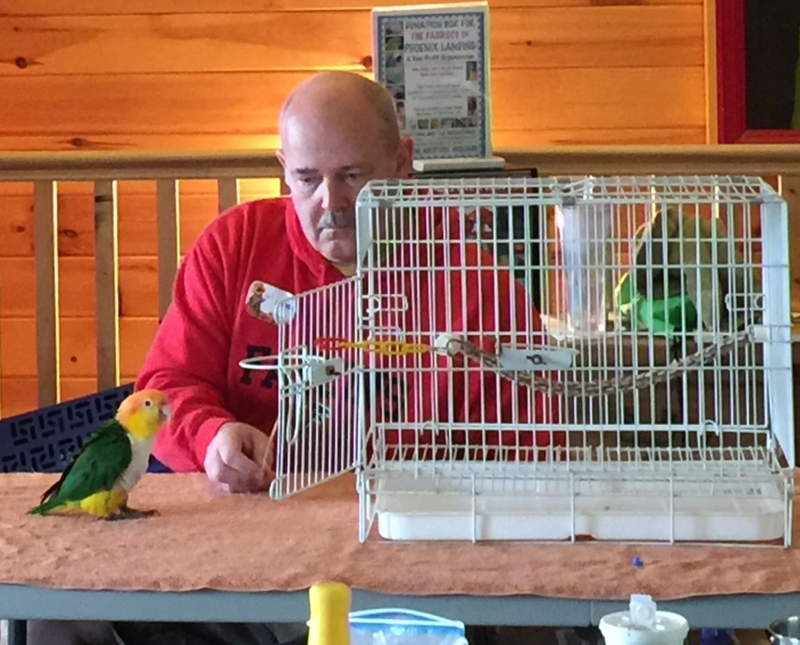 At this train-the-trainer workshop, you will work with a wide variety of birds first hand, so you will be empowered to return home and train your bird. * Good behaviors that work for your family, and avoid the problems that can cause a bird to lose their home (biting, screaming....). Birds are very busy in the wild. They work hard to find their food, and they have an active social life. Their environment is diverse and challenging, and they must avoid predators to stay safe. What does your bird do all day? * Social activities for a contented parrot. ​What Should My Bird Eat? 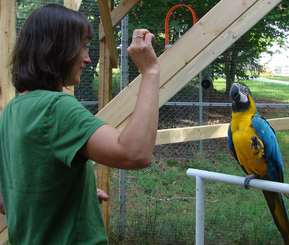 Learn which foods groups are especially nutritious for parrots. 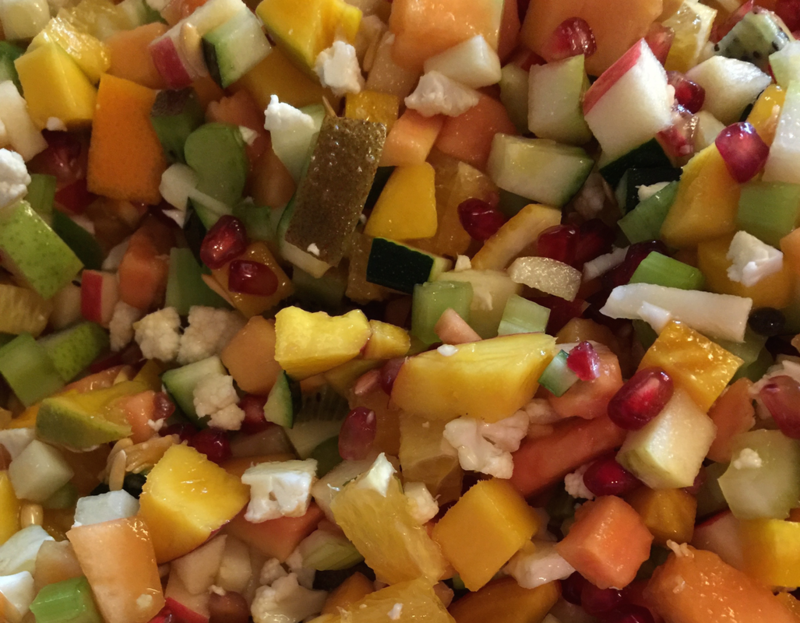 We will also talk about how to make food preparation easy, especially for busy households. 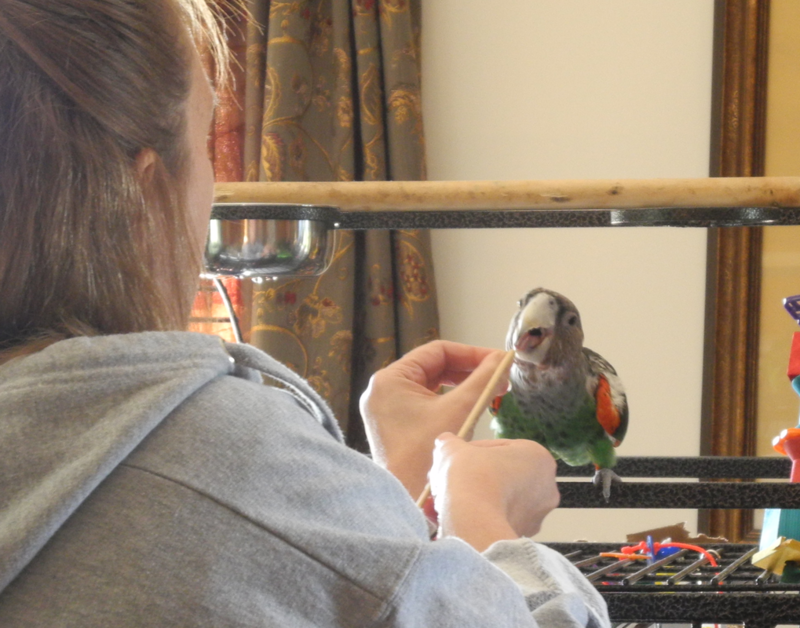 You will teach the foster birds at the Landing how to eat new foods so you can go home and put this to practice with your bird! Gardening for parrots? Yes! Parrots thrive on fresh foods, herbs and flowers. Learn how to make container gardens, which herbs are healthy and how to sprout. Good food is not just for the larger parrots. Smaller birds such as parakeets and cockatiels do especially well with fresh gardens and the right kind of “seeds” (sprouts, grains and legumes).